Light only where you are: The LED STAR+ MOTION SENSOR lamp with its integrated motion sensor responds quickly to movements. It automatically turns on and off and immediately brings its full light output without warming up. A practical and energy-efficient solution especially for corridors, stairs or garages. More LED light quality is hardly possible: The LED STAR+ HD LIGHTING lamps are pure innovation. They are characterized by a very high quality of light, which you will hardly find. With a Color Rendering Index (CRI) of 90, they provide realistic color rendering effects in HD light quality. Finally, you can distinguish between your dark blue and black socks anytime again. Not only for lazybones - light via remote control: Ok, every step makes you slim. But it is simply comfortable, if you control your lighting via remote control, right? Optionally available as an LED spot or LED lamp in a classic or candle shape, many LED STAR+ RGBW REMOTE CONTROL lamps can be operated in this way. You can adjust the light color or set colorful accents in 15 different colors or via dynamic RGB lighting. Highly convenient: Change your entire lighting mood with just one click - with LED STAR+ RELAX & ACTIVE lamps. Press the light switch to get warm white light with 2,700 Kelvin. For cozy and relaxing evening hours for two, the whole family or with friends. If you want more activating and brighter light you just have to turn it off and then turn it on again within 3 seconds and you will automatically light up with 4,000 Kelvin. Particularly suitable for tidying up or when it is really dark outside. The extra portion of coziness: Warm white light is already very cozy and pleasant. Almost like with the good old light bulb. But the LED STAR+ GLOW DIM is now really relaxed. You only need a dimmer and you can dim a further step down from 2,700 to 2,000 Kelvin. The result: an extra portion of comfort for relaxed hours at home. 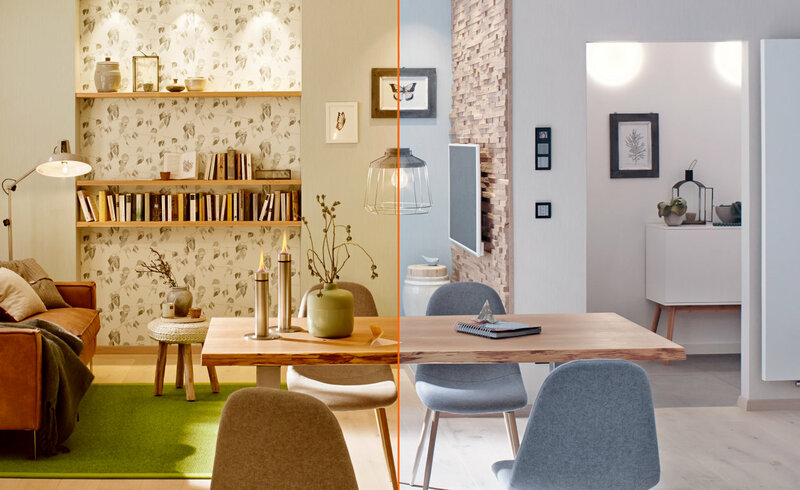 Dimming made easy: Not every room is equipped with a dimmer. But would you like to have it cozy quickly though? With the LED STAR+ DUO CLICK DIM it's really easy. Press the light switch once and the light turns on with 100 % of the luminosity. But if you click the button twice the LED lamp illuminates with 30 % of the full luminosity. 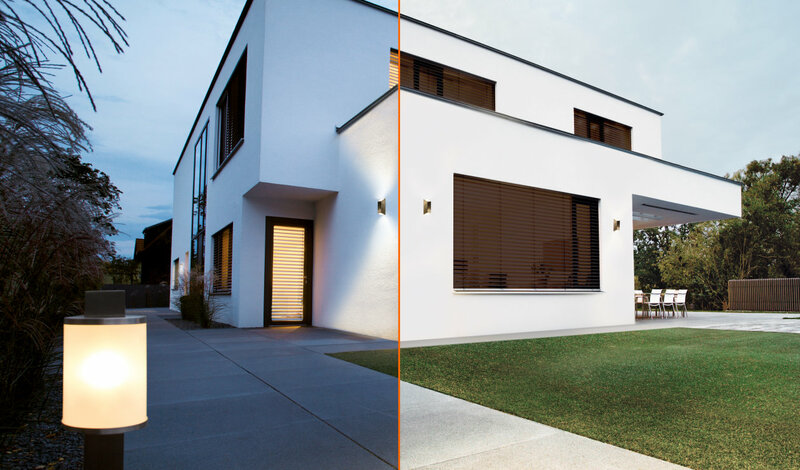 Automatically adjusted light: Is safety and energy efficiency important for you? The LED STAR+ DAYLIGHT SENSOR has an integrated sensor that automatically turns the warm white LED lamp on and off depending on a preset environmental brightness level. A practical solution for energy saving indoor and outdoor lighting. Even luminaires which actually do not support this function switch on at nightfall and ensure safety with the LED STAR+ DAYLIGHT SENSOR. The LED lamp fits into any E27 bulb socket and replaces a 60- or 40-watt lamp depending on the model. With an efficiency gain of up to 85%.